East coast dune sunflower, photographed at Seacrest Scrub Natural Area, Boynton Beach, Palm Beach County, in July 2014. The east coast dune sunflower, Helianthus debilis, seems harmless enough, but it might be responsible for the demise of a close relative. Check that. We humans will have done the demising, with the east coast dune sunflower as our instrument. Nothing sinister at all about this Florida native. It's absolutely gorgeous, and plays several important roles in the environment. 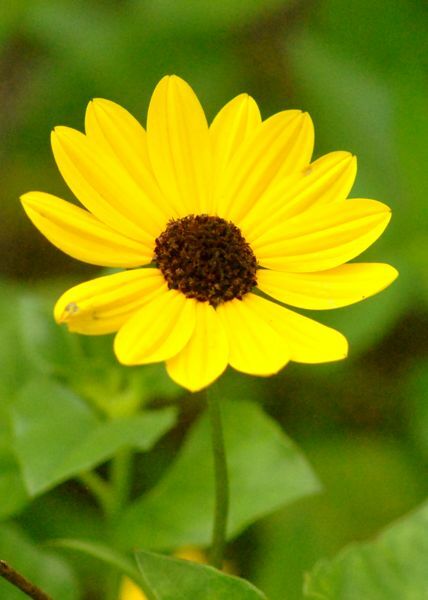 It's these attributes that make east coast dune sunflower a popular landscaping plant. So much so that we've taken it out of its native eastern coastal native territory and transported to places where it never occurred naturally. That put it in the territory of its rarer cousin, the west coast dune sunflower. Both are actually subspecies of the same plant, the west coast variety known scientifically as subspecies Vestitus, the east coast as subspecies Debilis. The problem is that the two varieties when in contact with each other tend to hybridize. That's not a problem for the east coast, which has its own geographically separate territory and a secure population, but it's an existential threat to the west coast, which is already classified as critically imperiled by the Institute for Regional Conservation. The solution is reltively simple; just keep the east coast on the east coast. But considering its popularity with landscapers that won't easy to pull off. Now some east coast dune sunflower basics: First of all, it is related to the common sunflower, sharing the same genus, but the two plants aren't likely to be mistaken for the other. Both have golden-yellow flowers with a brown center, but where the sunflower is absolutely huge, the east coast is tiny by comparison. Its bloom is only a couple of inches across and at its tallest, stands only a foot or two off the ground. East coast is a perennial, flowers year-round in South Florida, fall through spring being peak seasons. It spreads along the ground and forms large patches. Where stems touch the ground, it sends out roots. It's found in coastal uplands and in scrubs. The plant plays an important role in holding beach dunes in place. Because of that, it's often used in landscaping as a groundcover. It's also used in butterfly gardens. Native Americans used the flowers and the seeds to make paints and dyes. Old U.S. Department of Agriculture maps had east coast's native range extending throughout Florida, up the Atlantic coast as far north as Maine, along the Gulf coast to Texas and, oddly, inland in Michigan. Those maps are available below. 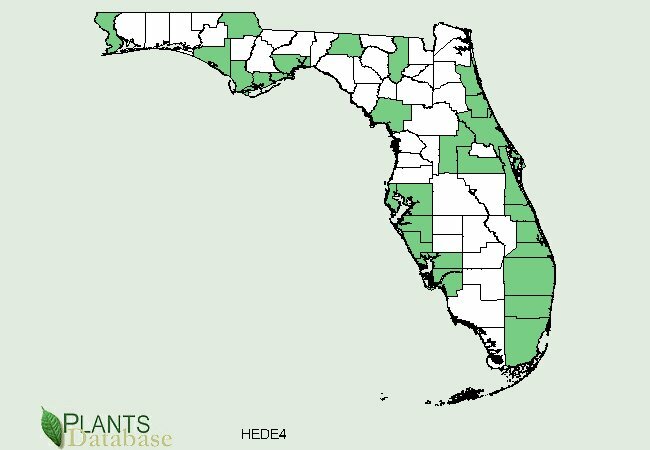 Revised maps, however, have it only in Florida, and show no county data. 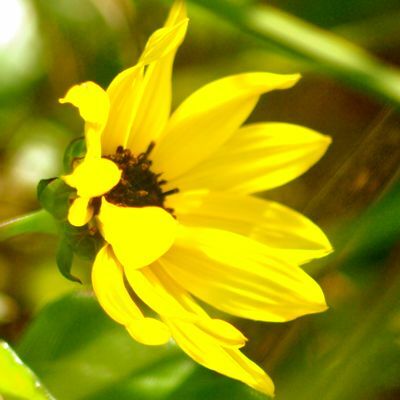 The east coast dune sunflower is also known as cucumberleaf sunflower, dune sunflower and beach sunflower. It is a member of the Asteraceae, or aster, family. 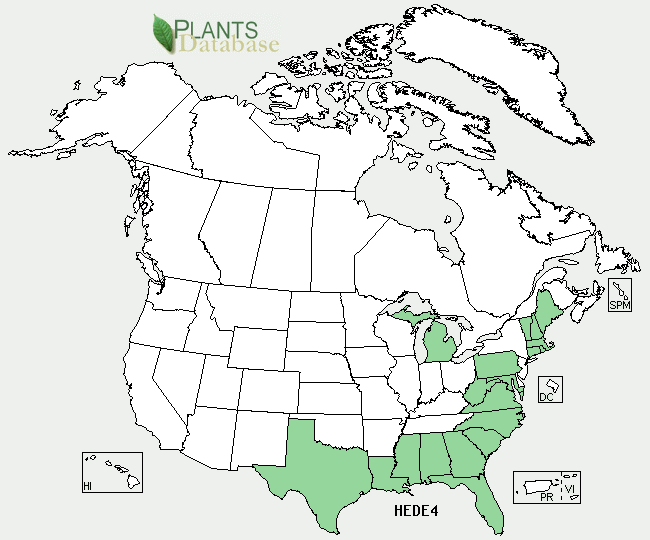 United States Department of Agriculture (USDA) distribution maps for east coast dune sunflower.